First up, Elgar the Fiery, an adherent of the Elementalist School of Magic, and his apprentice, the lovely Raziyya. 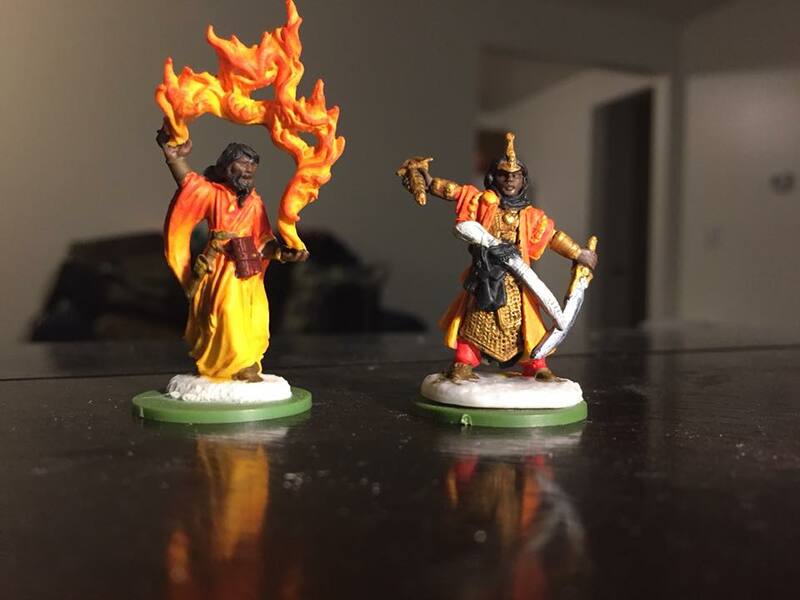 He is Reaper's "Aaron the Conjuror" and she is the Pathfinder Iconic Cleric given a new color scheme. I really like how the blending on the robes came out. Elgar is a strong believer in "Might makes Right" and that "Quality is a Quantity all it's own." As such, he's decided to eschew popular wisdom in the Frozen City and hire only a few "elite" henchmen instead of many cheaper ones. This is "Big Bad Mogo," an orcish Barbarian. 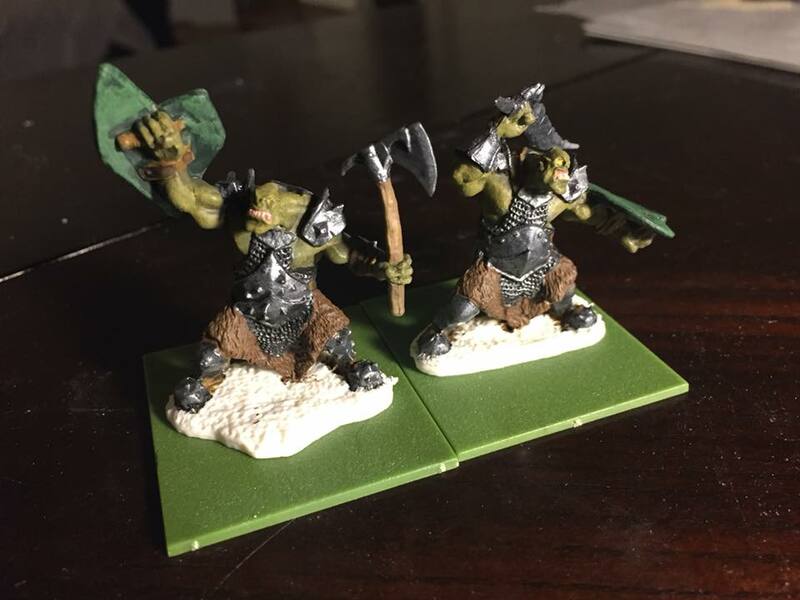 Next up, the Brutal Brothers, Garg and Karg, both rated as "Men-at-Arms" by Frostgrave's standards. I kept their color schemes (along with that of Big Bad Mogo) as neutral-cool as possible to emphasize the brightness and warmth of the colors used for Elgar and Raziyya. 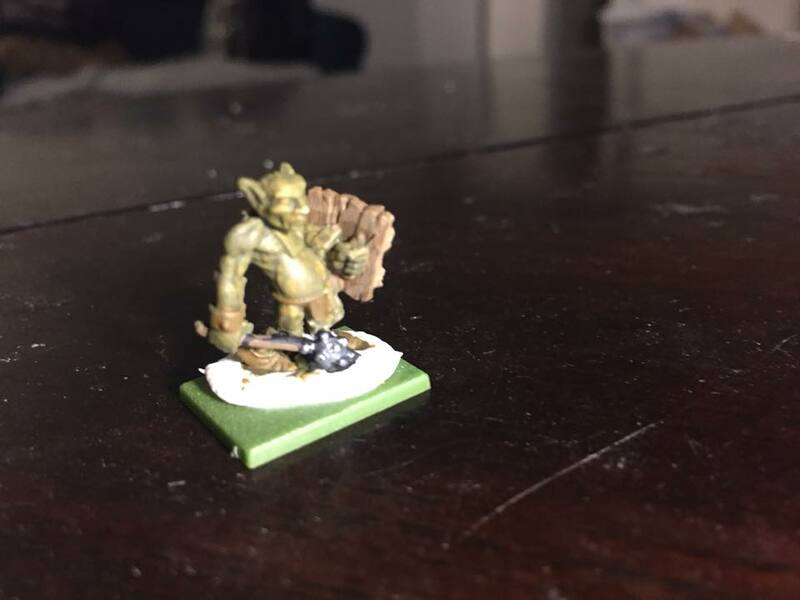 Zeebo the Goblin, a "Thug" in Frostgrave parlance, weaseled his way in by claiming to be Garg and Karg's "hiring manager." 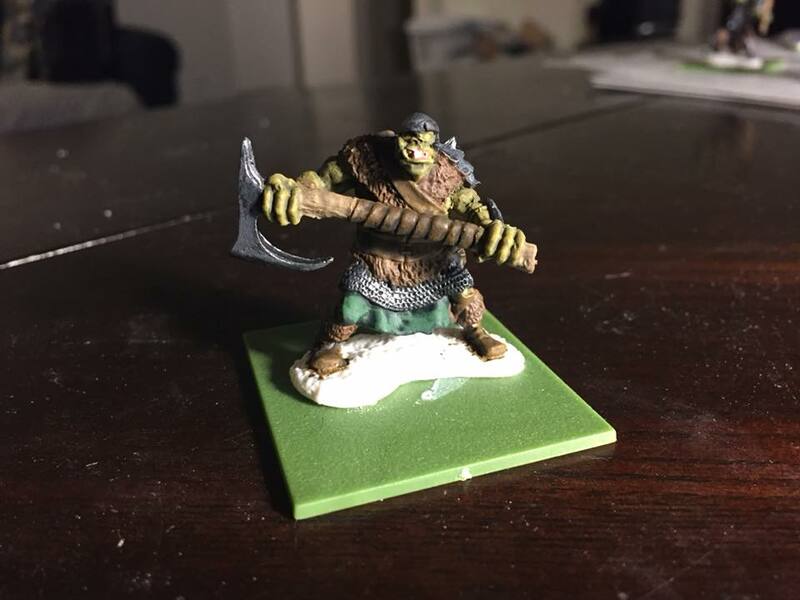 pardon the blurry photo, he's only around 10-12mm tall. Finally, Backbreaker and Legsnapper, a pair of Warhounds. 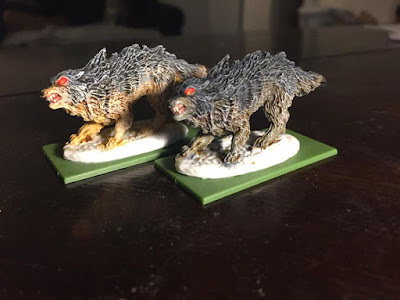 These two took the longest to paint, with layers and layers of washes and drybrushing until the fur looked right to me. Just bases left to finish and they'll be good to go.